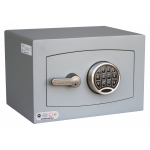 The Securikey Mini Vault S2 0 is designed to hold cash, valuables & documents. 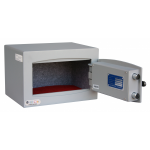 This safe provides high quality entry level domestic or light commercial Safe. 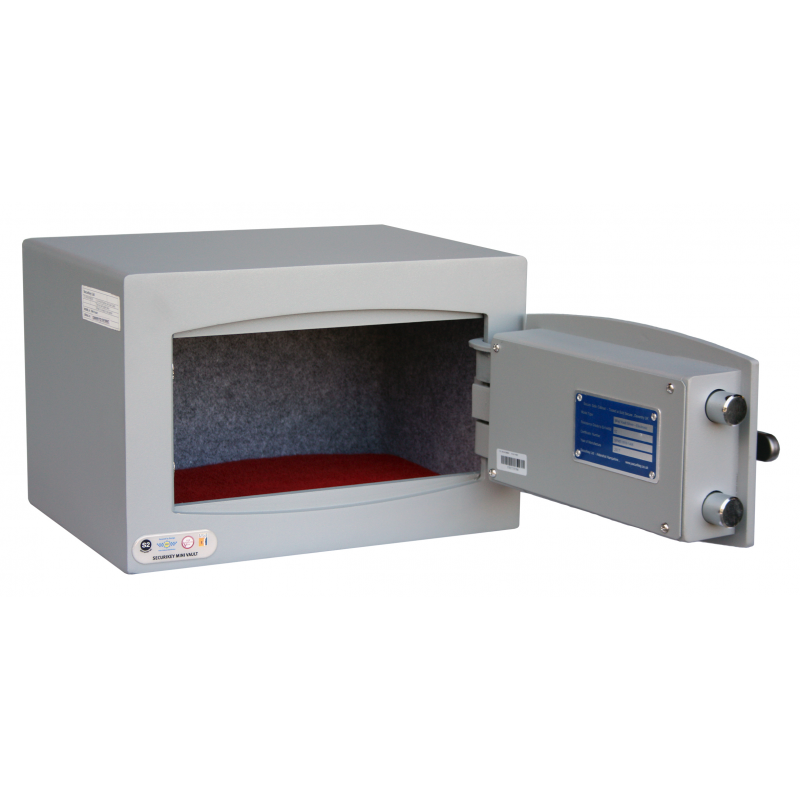 The units have both bottom and back fixing and are perfect for securing inside any suitable furniture such as a solidly built cupboard or cabinet. Manufactured in accordance with EN14450 S2 construction. 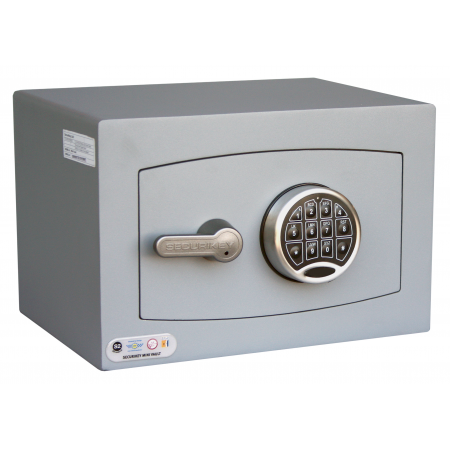 The attractive door shape as well as adding to the aesthetic appearance prevents attack from both side and front due to its unique construction. 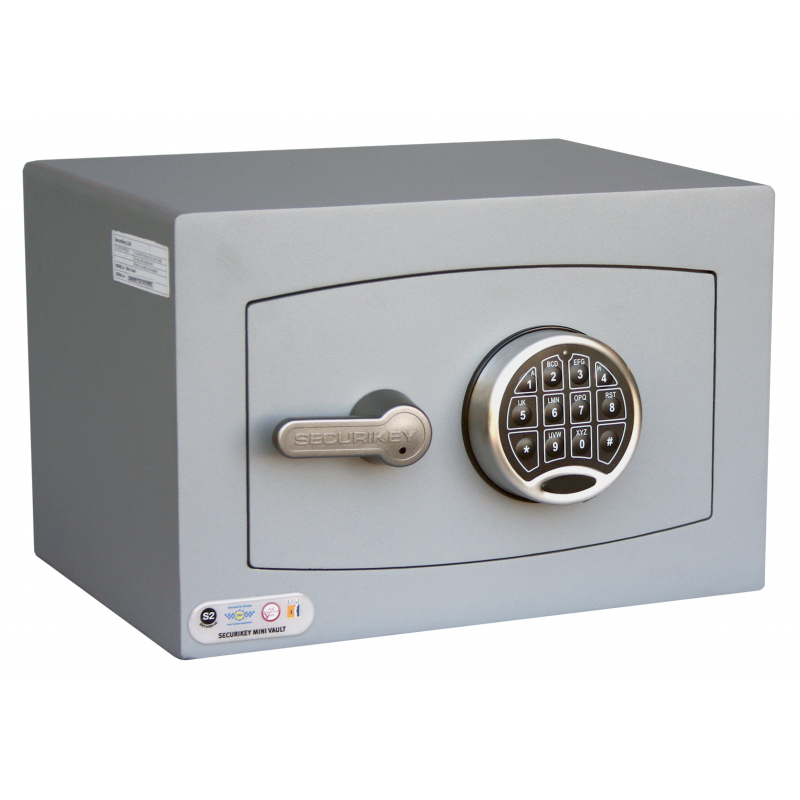 The three sizes are ideal for the safe keeping of documents, valuables, cash and laptop computers in hotel rooms, at home or in the office.